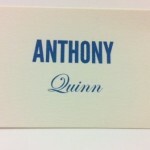 William Arthur & Crane & Co. have merged, actually Crane & Co. bought William Arthur earlier this year enabling William Arthur’s classic and traditional holiday card designs to continue being reprinted and available in stock for their loyal customers. We at Hyegraph Invitations & Calligraphy are happy to have these classic holiday boxed cards available for your to pick up right away at 3 Embarcadero Center Financial District San Francisco. So if your looking for your favorite Crane & Co. or William Arthur designs simply stop by and pick them up from our store located street level at the Embarcadero Center in San Francisco! 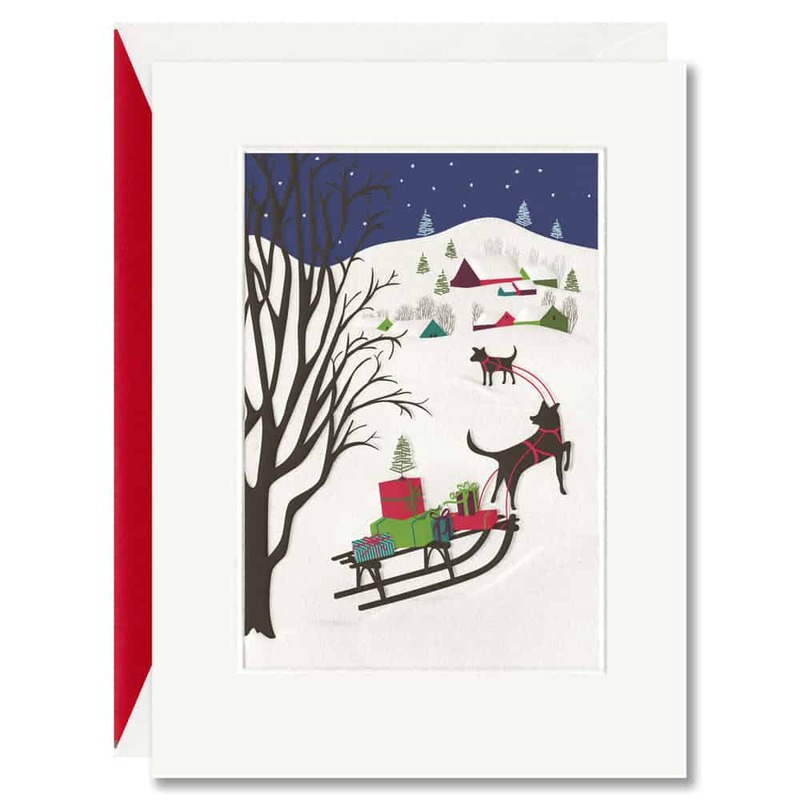 This gorgeous winter scene depicts a snow filled holiday with happy gifts pulled by dogs on a sleigh. 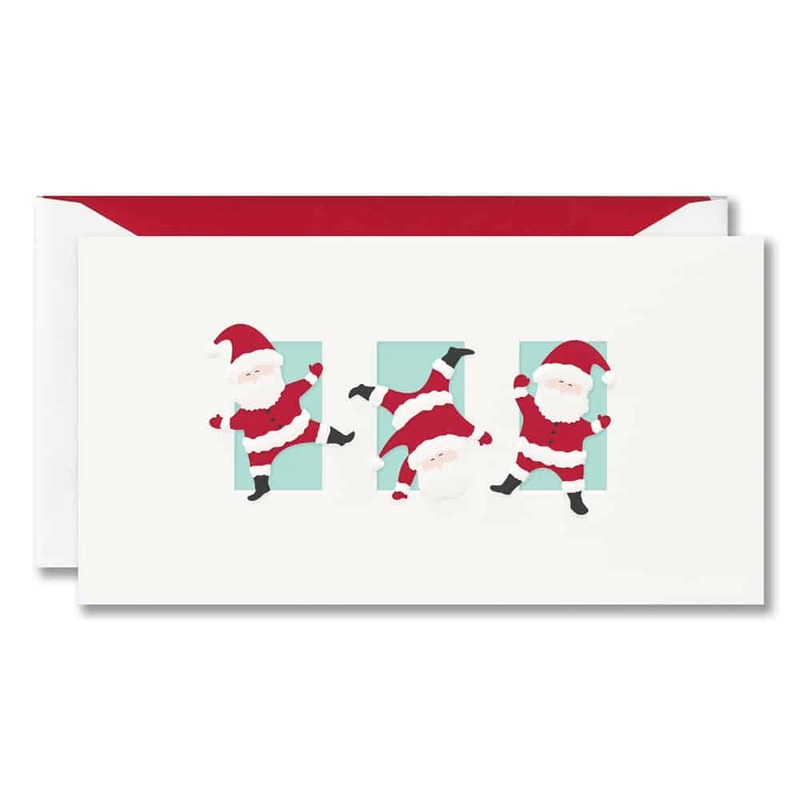 The inscription inside the card reads “Wishing You Joy Love & Peace throughout the Holidays”, comes with lined envelopes and retails at $22.00 per box. 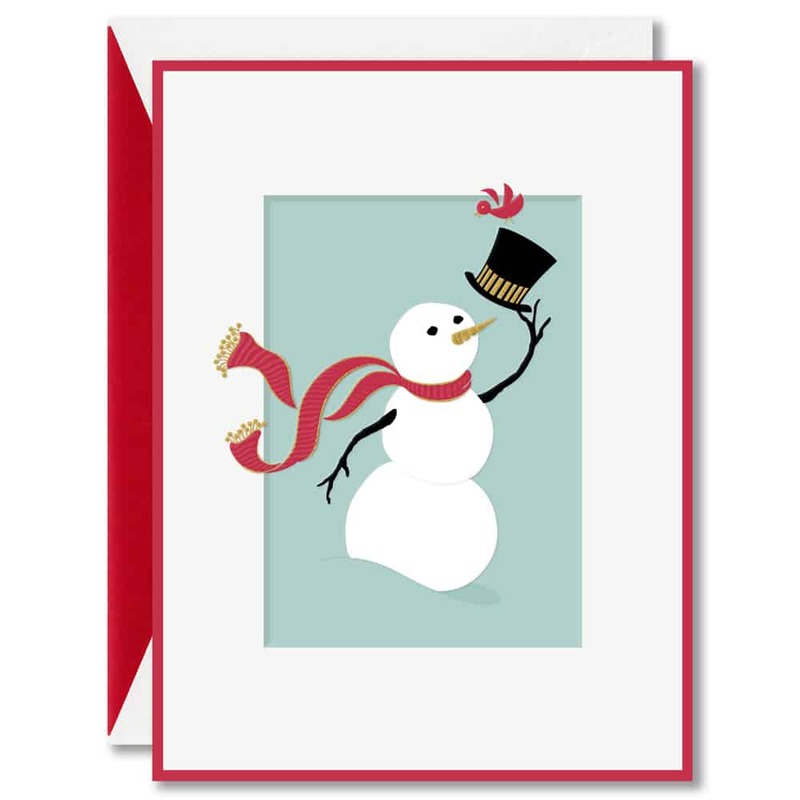 The above Happy Snow Man Holiday Card is cheerful it comes in a box of 10 cards with matching red lined envelopes. The inscription inside the card reads, “May the Joy of Christmas be with you all through the New Year.” The boxed set retails for $24.00 at Hyegraph Invitations. The above Pomegranate Holiday Card is recycled in a box or also comes in open stock and can be ordered for any occasion. 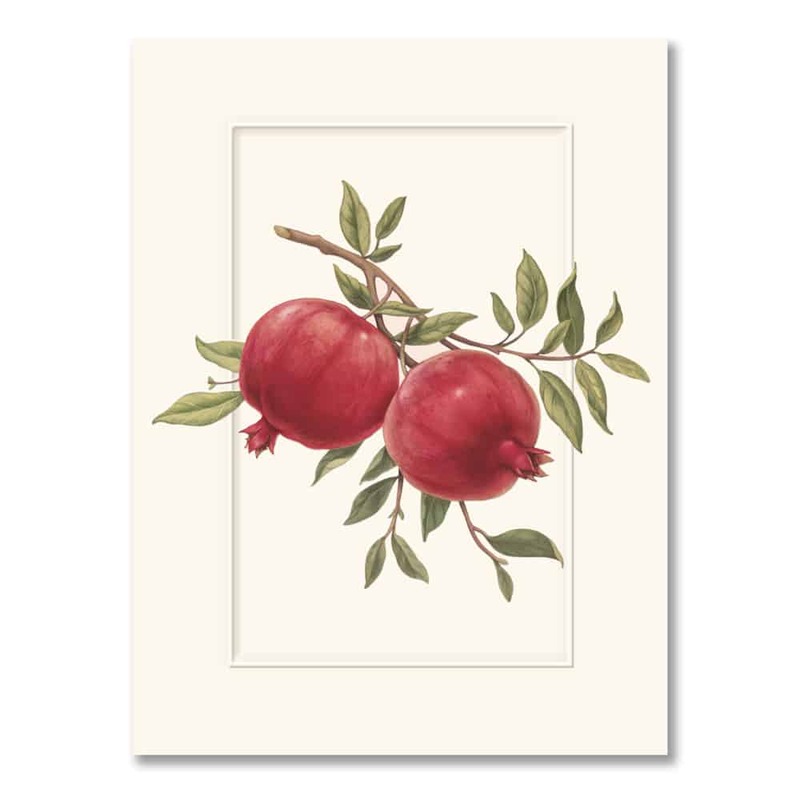 The pomegranate symbolizes good luck and abundance in many cultures and makes a great holiday card. 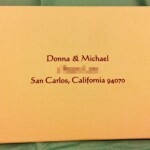 The boxed set comes in a quantity of 10 cards with matching envelopes and retails for $24.00 at Hyegraph Embarcadero Financial District San Francisco.